I am momming like a BOSS! I thought to myself, as I set the last hot cocoa and cinnamon roll down on the coffee table and gazed up at the Pinterest-worthy holiday scene in my living room Christmas morning. My husband cradled our newborn, who was kicking and cooing in his striped Christmas jammies, as our kids unwrapped their gifts. Suddenly, a look of horror came over my husband’s face and he practically threw the baby down on the couch. My eight-year-old daughter was on fire! Her whole torso and head were enveloped in flames from her scarf, so my husband reached into the fire and yanked out the scarf. He threw it on the rug and it caught the rug on fire. Terrified, I jumped to my feet and slapped at the flames still swirling around her hair. Surrounded by piles of fabric ashes and the smell of burnt hair, we all collapsed on the couch trying to recover from what had just happened; thanking God that our daughter was somehow unharmed. You may be wondering how this could have happened – all signs pointed to mom. It started with four months of sleep deprivation, which stripped all logic from my feeble mommy brain. The culmination of watching too much HGTV and the desire to create a Joanna Gaines-worthy tablescape, resulted in thinking it would be pretty to put an evergreen tree scented candle on the coffee table. Ironically, I keep a plastic Christmas tree because the real ones seem like a fire hazard! When my daughter donned her new scarf, she shimmied up on the table, and voila, the Christmas spectacular began. Needless to say, the mom guilt was heavy that day. Why do I share this story, which makes me sound like a reckless idiot? Because sometimes our focus is off. Life doesn’t go the way we expect it to. And, so it is with PARENTING. When I was a student at Harvard (I know, surprising after what I just shared, right? ), my mind was blown when I learned that 40 years of data showed that social and emotional skills like patience, focus and social skills are a greater correlate to life success than anything our kids are learning in school. Yet, there were no tools out there to help parents practice all these critical life skills with their little ones. After years as a national TV host, witnessing the power of learning through fun, I founded an educational media company called EQtainment to teach kids all the stuff we now know matters more than tests and ABCs. 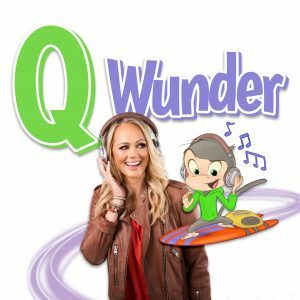 Our award-winning app, Q Wunder, featuring an animated kids’ show with celebrity guests, a pop music album and interactive games, helps kids practice the things they need most for school readiness and lifelong success. 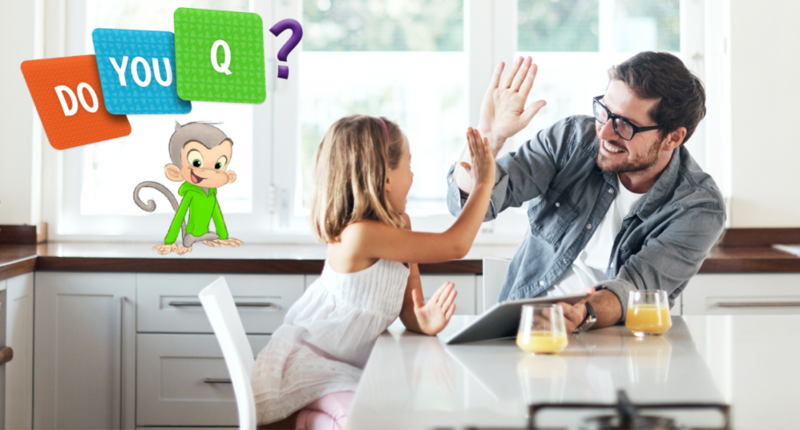 Q Wunder helps kids improve their manners and curb those dreaded meltdowns. While moms are sneakily high-fiving, kids just think they’re having fun! After 10 years of being a MOPS mom, I thought you would enjoy everything this app has to offer. It’s here to help with what I know you’re already doing: momming like a boss! Sofia Dickens is the founder of EQtainment and creator of Q Wunder. A Harvard educated mom of four and TV host, Dicken’s mission is to make learning important life skills fun and affordable for kids everywhere.